The entire world is looking for next Google flagship smartphones the Next-Gen Pixel and Pixel XL to release at the earliest, but one has to wait until this October to get hands on it. And leaks about the phone are keeping you at bay, especially about the design and features. 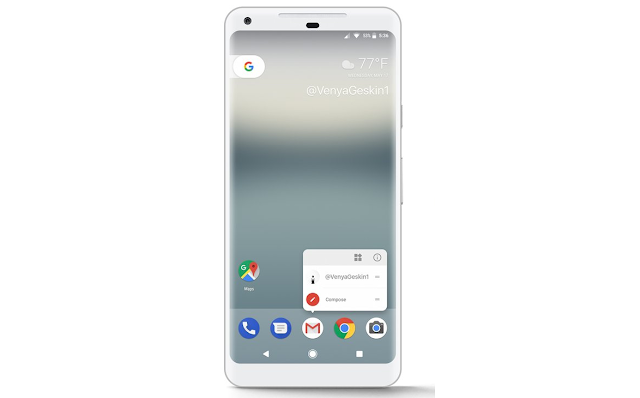 We have already seen our first potential look at what to expect from the Pixel XL 2. Now, According to the latest reports, we now have more details about the Pixel XL 2. In the latest report, provided by XDA and its unnamed source, the Pixel XL 2 will feature an OLED display, with the panel measuring in at 5.99″. Additionally, it will be coming with an Always-On feature, which allows you take a sneak-peek to the notifications and other information without unlocking the device. The new report also confirms that the Pixel XL 2 will sport squeezy sides, just like on the HTC U11. The device will also feature display profiles including sRGB, Vivid, etc.